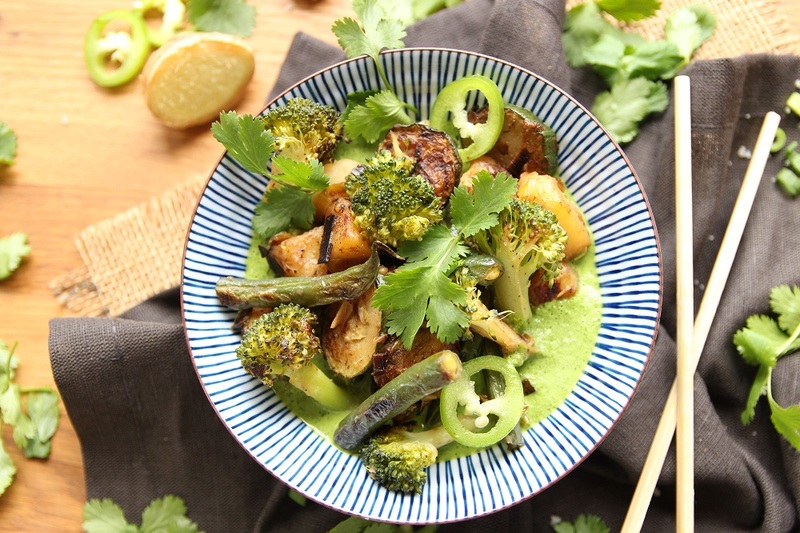 The BEST part of this vegetable stir fry recipe is the hot, green, coriander sauce! So, save it, pin it, and remember it, because it goes great with everything! 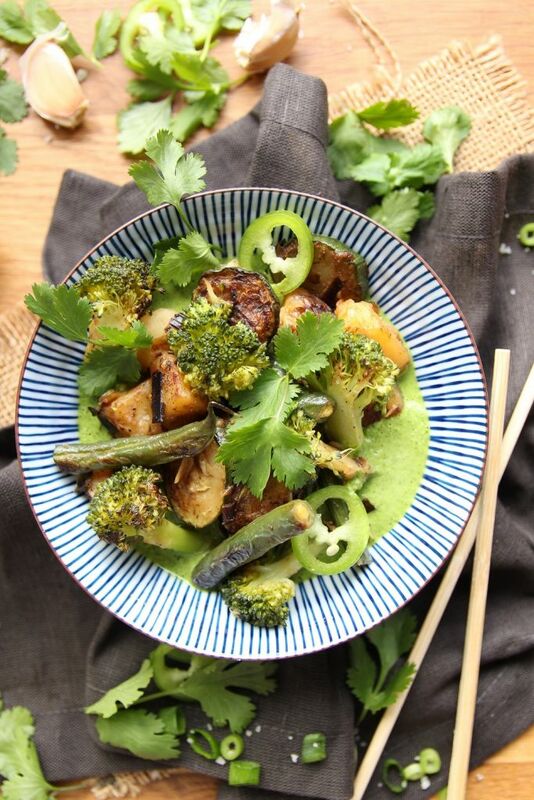 Drizzled on some baked potatoes, served with stir fried vegetables as shown here, used as a spread in a sandwich, as a dumpling dipping sauce, or over a bed of rice or quinoa, it’s extremely versatile, and is by far the best vegetable stir fry I’ve made, thanks to the sauce! That’s precisely what I LOVE about cooking! I’ll find random ingredients lying in my fridge or pantry, convince myself that I can totally make it work and just roll with the flow until I do. 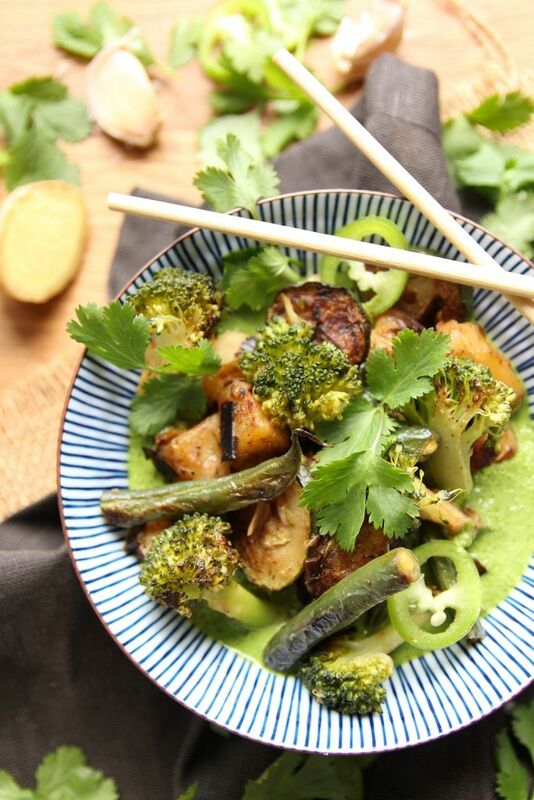 In this recipe, the perfect combination of each handpicked ingredient, the heat, flavor and the green color palate that I intentionally aimed for, all come together quickly and with minimum effort. Just a final note before we dive into this vegetable stir fry. Don’t let the list of ingredients intimidate you. Some of the ingredients are the same, just separated into the dish and sauce ingredients. Plus, most of the ingredients listed below are essentials you probably already have in your pantry, like oil, sea salt, garlic, and potatoes. So, put some music on, slice and fry your veggies, blend your sauce, and before you know it, dinner is served. Peel and dice the potato and place in a small pot covered with water, and cook for 5 – 10 minutes, until they start to slightly softened. Drain, and wash under cold water, then set aside. Finely slice the leek, removing and discarding the top green portion, then heat a pan on medium heat, add the peanut oil, and fry until they start to slightly brown. Next, finely slice the garlic cloves, add to the pan and cook for a couple of minutes. Finely slice the zucchini, roughly chop the green beans, and break the broccoli into bite sized florets. Add the zucchini, potato, and green beans into the pan and toss for 5 – 10 minutes until nicely colored, and your potato is fully cooked and nicely browned. You can add a splash of water to avoid burning, and close the pan with a lid. The steam will quickly cook the potato. Next, add sea salt and black pepper to taste, then throw in the broccoli florets, and cook for a maximum of 2 – 3 minutes. Finely dice the fresh ginger, add to the pan and remove it from the heat. Place all the sauce ingredients into a food processor and blend until combined. If you don’t own a food processor, place the ingredients into a bowl and blend with a hand-held blender. 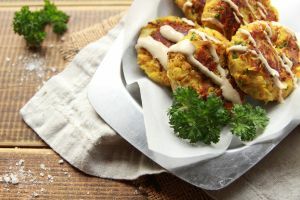 To assemble the dish, evenly pour the sauce onto each plate, then add the vegetables and garnish with freshly sliced green chili, fresh coriander, and finely chopped spring onions. 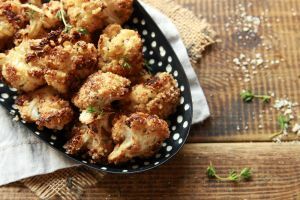 Serve on its own, or easily pair the vegetable stir fry with my Nutty Roasted Cauliflower Florets, and my Chickpea And Walnut Burgers. ← Roasted Mini Eggplants With Only 5 Ingredients!